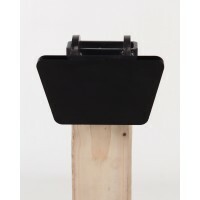 Images taken with optional Bulldog Stand and Silhouette holder - Stand and Holder are NOT included in the purchase of the Hostage Reactive Target. When quality counts... count on Target Solutions USA for all of your target needs. From our knowledge, we offer one of the only hostage target on the market that has 3 different target areas to keep it exciting! This is heavy duty fun! The Hostage reactive target with 3 different target areas! 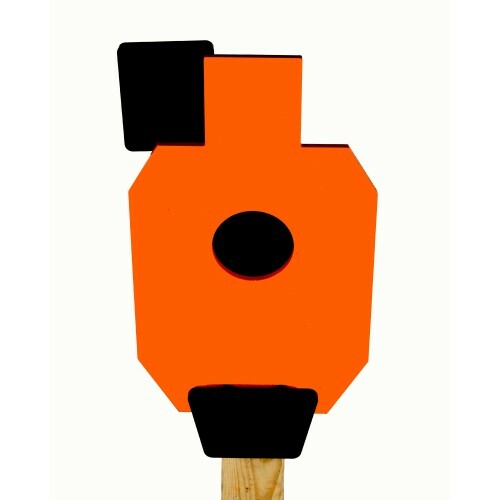 Measuring 12" wide x 20" long and made out of heavy duty 3/8" AR500 steel, this target is 12" across with a 4" center opening and 2-5" diameter targets that are also made out of AR500 steel. 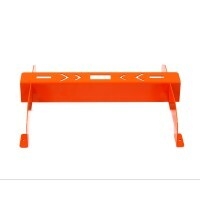 For easier visibility, the "Hostage" section is powder coated in a "high visibility" orange while the 5" targets have a contrasting matte black finish baked on. 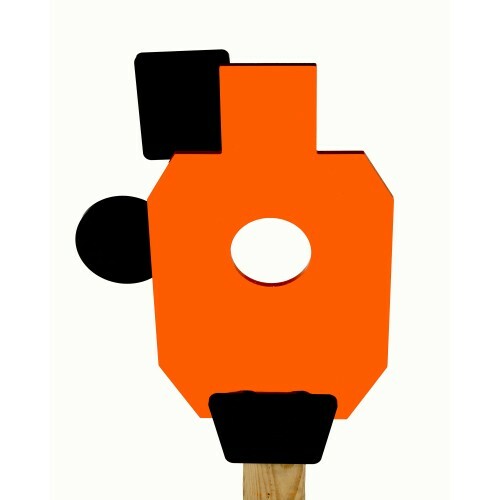 We have designed a unique hinge system for all of the targets that allows you to easily remove the targets and relocate them if you choose to. 1. The "head" area has a 5 in diameter "bad guy" target that moves from side to side when it is shot. 2. 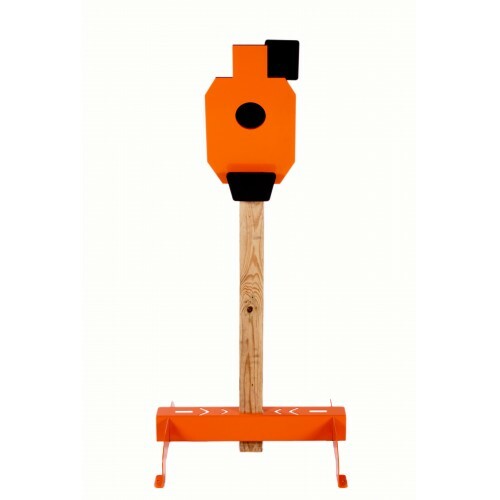 The chest area has a 4" diameter opening in the center section with a black 5" diameter target that swings back and forth when it is hit. 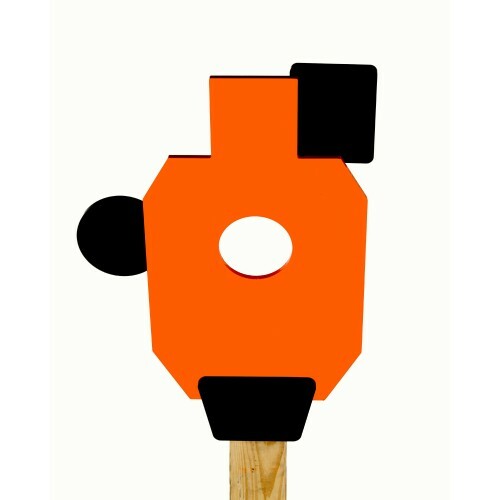 This target area is used for practicing "controlled pairs". 3. You can quickly relocate the chest target to the side hinge so that when you shoot the center hole, the target pops out to the side of the hostage. Shooting the target again resets it back to the center hole. 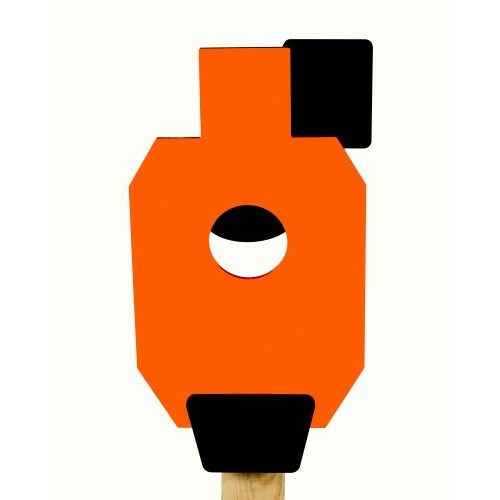 Save money by purchasing this Hostage target with our 2 x 4 Silhouette holder. 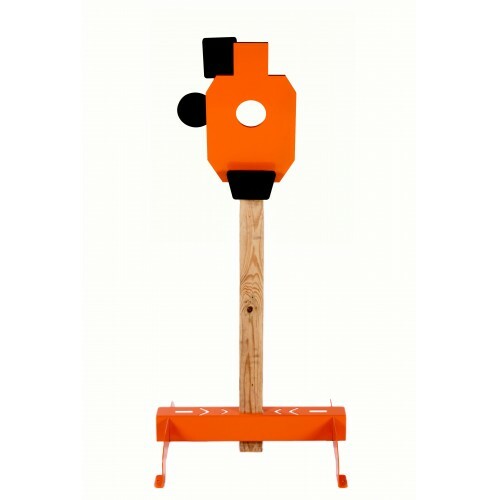 Adding our "Bulldog" target stand is the ultimate set up and the perfect combination for your shooting needs.